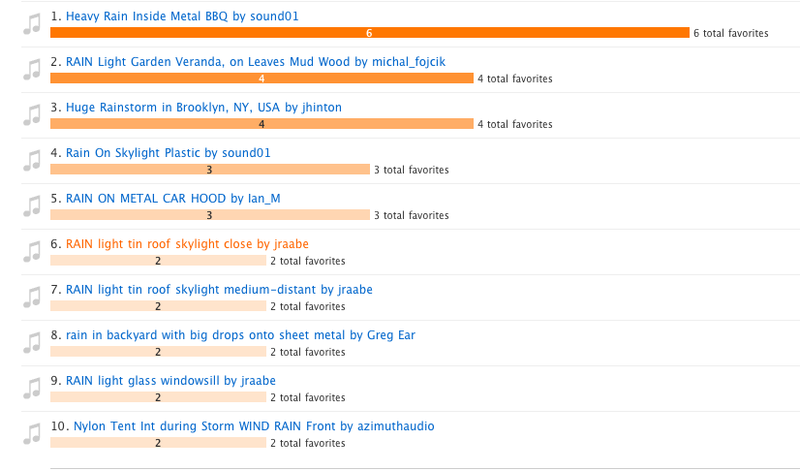 Alastair Sirkett’s (sound01) recording, “Heavy Rain Inside Metal BBQ” got the most votes this month. A few words from the winner……. My name is Alastair Sirkett, I’m a London based, freelance sound editor/designer, mainly working on feature films (Morning Glory (Roger Michell), The Debt (John Madden), Mamma Mia). This year I’ve also been working on some iPhone applications (Charles Peattie’s Animal Alphabet) and am currently working on a couple of episodes of a TV drama series (‘Primeval’ for Andy Walker at Crossfade). I also complete work for Giles Martin and Apple Corps, last year sound designing the Intro’ and Outro’ for ‘The Beatles – Rockband’ video game and very recently, sound designing trailers for The Beatles iTunes launch (The Beatles through the Years). Like most sound editors, I’m always on the ‘listen out’ for interesting sounds and the BBQ had been sitting just outside my patio doors for a couple of years being regularly rained on. Even from the outside it had made a great sound due to it’s curved lid, so I decided to pop my Zoom H4n inside to see what I’d get. It turned out well, so I got my Sanken CMS-7 and recorded what you’ve all heard. I think I left it running for about 30 minutes, with the rain eventually fading away, so I have various intensities in my library. Unfortunately, I still don’t think that I’ve been able to use it any jobs I’ve done. Thanks for voting for it and thanks to Michael for putting this ‘Collective’ together. 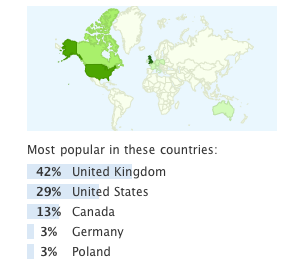 Well done Al and thanks everyone for the tremendous level of involvement and the high standard of submitted recordings. The set ended up with 50 recordings in it in the end, which is brilliant. Not a bad return on as little as one contribution, eh? This entry was posted on December 1, 2010 by sonicskepsi. It was filed under Notices and was tagged with Notice, Winner.